How can I use the new Korean NWT 2014 Revision? First of all, please make sure you have updated Equipd to version 3.4.0. By default all new users who enable the Korean NWT will automatically be using the new 2014 Revision. A red "Remove" button will appear. 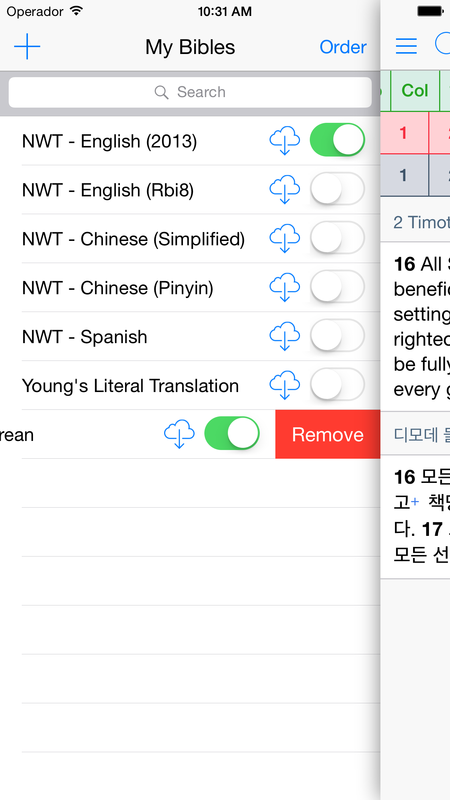 Click this button, and it will remove the Korean Bible from the list and clear the cache. You can then click the download button to download this new Bible for offline use. If that is too hard, and you don’t mind a reinstall, you could delete Equipd and reinstall it from scratch. 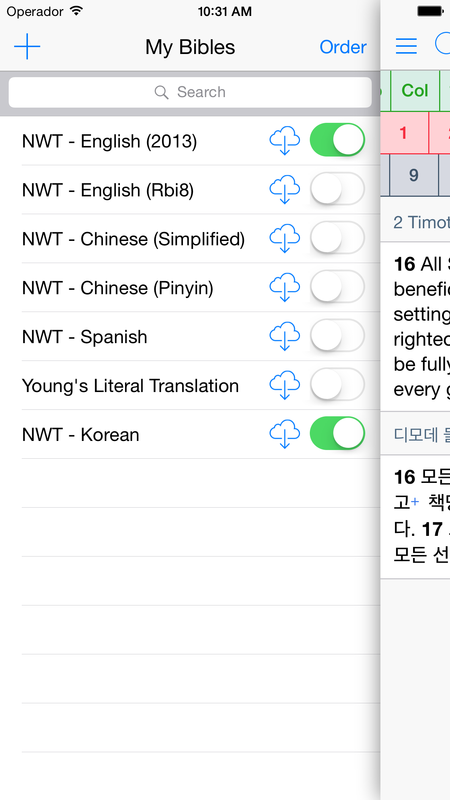 I did not put in the detection for the Korean NWT that handles the fact that John 8 is missing the first 11 verses in the newer revision. I am sorry I missed this and it was not picked up by my beta testers. The issue will be fixed in the next update of Equipd.